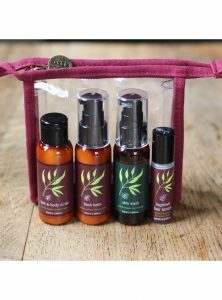 The Outback Organics range are free from synthetic colouring and fragrances, parabens, SLS, SLES, lanolin, mineral oil and other harsh chemicals. 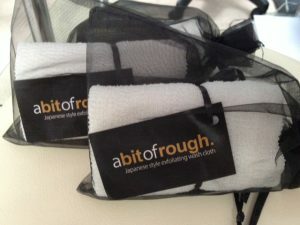 Note: Japanese wash cloths are imported from Japan and are not an Outback Organics product. These exfoliating wash cloths are made up of a mix of fibres that are gentle enough to use on your face and robust enough to exfoliate your whole body, removes dead skin cells and leaves your skin glowing, soft and smooth. The first step to smooth, trouble-free skin is exfoliation. This scrub loosens dead skin cells and improves the texture of dry, rough patches leaving the skin feeling silky smooth. 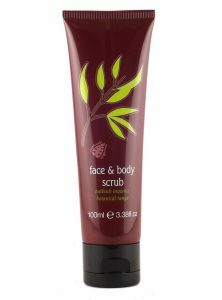 Bergamot orange, sandalwood, patchouli and rose are combined with jojoba micro-beads to give a gentle yet effective exfoliation, lifting dead skin cells and leaving skin soft and hydrated. Enriched with organic cucumber extract, this creamy scrub is mild enough for face and body. With regular use your skin will feel deeply cleansed and invigorated. Instant soothing on delicate areas, this intensely moisturising balm quickly reduces redness and calms skin after hair removal. Aloe vera, allatoin and frankincense extract sooth sore skin, while shea butter and macadamia oil quench and deeply nourish. Bush Balm can be used between appointments to help prevent ingrown hairs and hydrate skin. Particularly suitable for sensitive areas such as the face and underarms, it's great after intimate waxing or shaving. Waxing can leave skin feeling sore, and unsightly spots may develop in the days following treatment. This Post-Wax Spray helps treat common complaints that occur after waxing and shaving. Aloe vera and cucumber extracts are blended with Australian bush mint and menthol to cool and calm the skin, while the antibacterial effects of lemon myrtle oil protect against irritation by supporting the skin's natural defences. 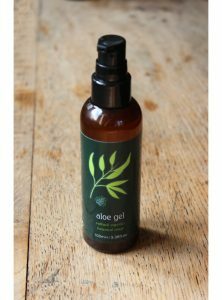 Used on legs, back or underarms straight after waxing, it helps prevent ingrown hairs from developing and can be used at home for up to five days following treatment. This Ingrown Hair Serum attacks unsightly, painful bumps and pimples that harbour ingrown hairs. Australian sandalwood, cypress oils, aniseed myrtle and prickly pear extract help heal imperfections without drying the skin. Combined with pineapple and papaya fruit enzymes and hydroxy acids this serum gently exfoliates where the hair is trapped, freeing stubborn ingrown hairs to reveal smooth, blemish-free skin. Suitable for men and women, this product is for home use only and should be used 24 hours after waxing. This face and body wash with pure organic tea tree oil, mountain pepper extract and peppermint oil cleans the pores and helps eliminate bacteria that cause spots without stripping or drying the skin. The perfect face wash for anyone who prefers using a facial wash than a cream cleanser and a wonderfully refreshing shower gel. Oily skin is controlled and vitality is restored revealing fresher, more vibrant skin without leaving it feeling taught and dry. Perfect for everyday use. These miniatures are of some of our best selling products.